Which kind of coaching suits you? Also with Project 20+ you are at the right place when it comes to coaching. 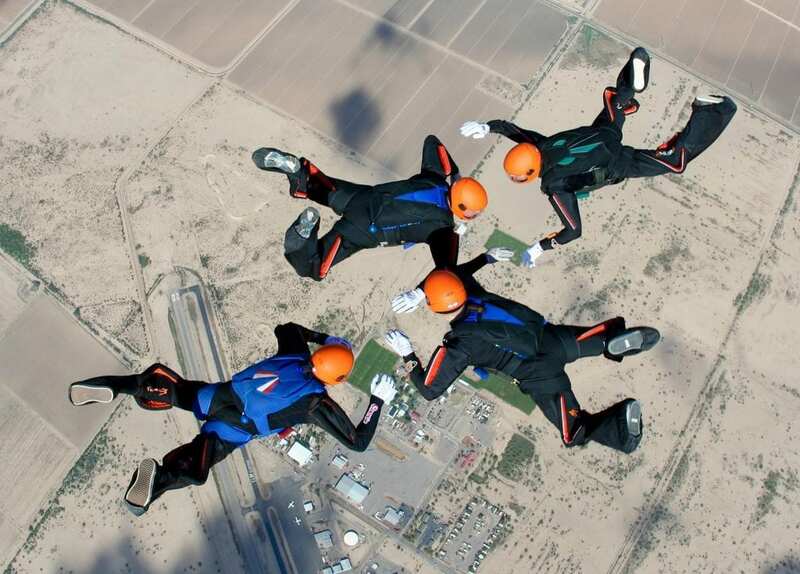 Project 20+ wants to bring the Formation Skydiving FS4 in the Netherlands to a structural level of 20+. In the project there are 3 participating teams, from an A selection to a rookie team. The coaching team consists of Paul, Jacco, Erwin and Alexander. Do you want to learn to fly formations in our wind tunnel? And finally fly outside? Then you are at the right place with these coaches! You have the choice of 1 in 1 coaching with a lot of personal guidance. Would you rather train with several skydivers in the tunnel? Then 1 in 2 and 1 on 3 coaching is something for you! Are you interrested in coaching by the 20+ project? Send a mail to Alexander Egberink. Stay in touch with Project 20+ with their Facebookpage.